Life as a working drummer is not without pressure. 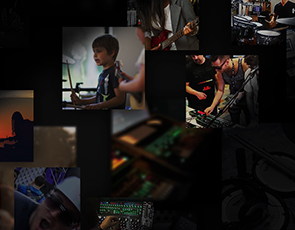 From one job to the next, you’ll be expected to move fast and find the perfect drum sound, satisfying your audience, fellow musicians, engineers and the all-important paying client. But that’s a big challenge when you’re playing a traditional kit. Acoustics can vary drastically from venue-to-venue. Mixing engineers all take a different approach. You could be presented with unknown material with moments to spare, or asked to replicate the drum sound from a studio recording. 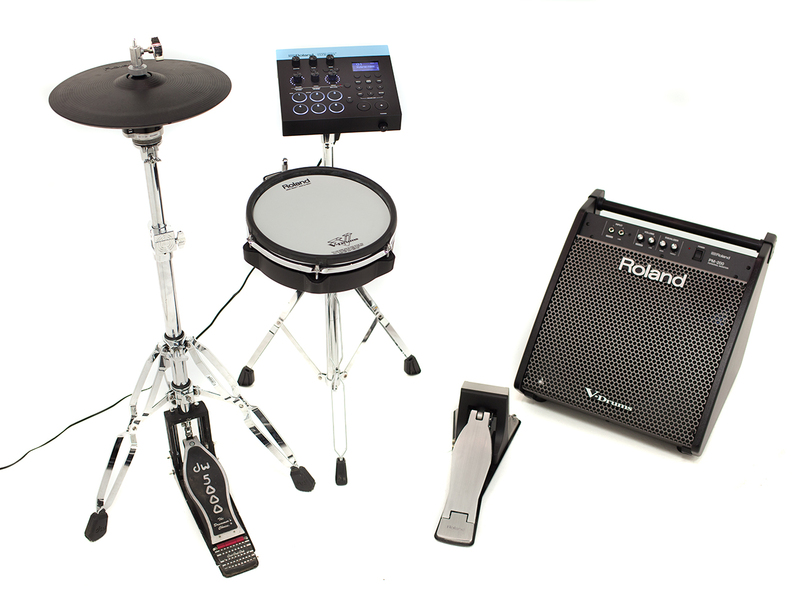 Life gets much easier when you add the Roland TM-6 PRO to your favorite acoustic drum kit. 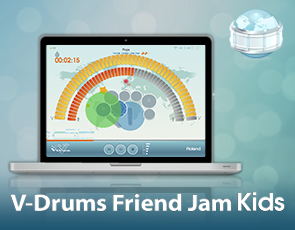 Smart, simple and discreet, this new trigger module gives you instant and reliable access to every drum sound in the book, on every stage you play. 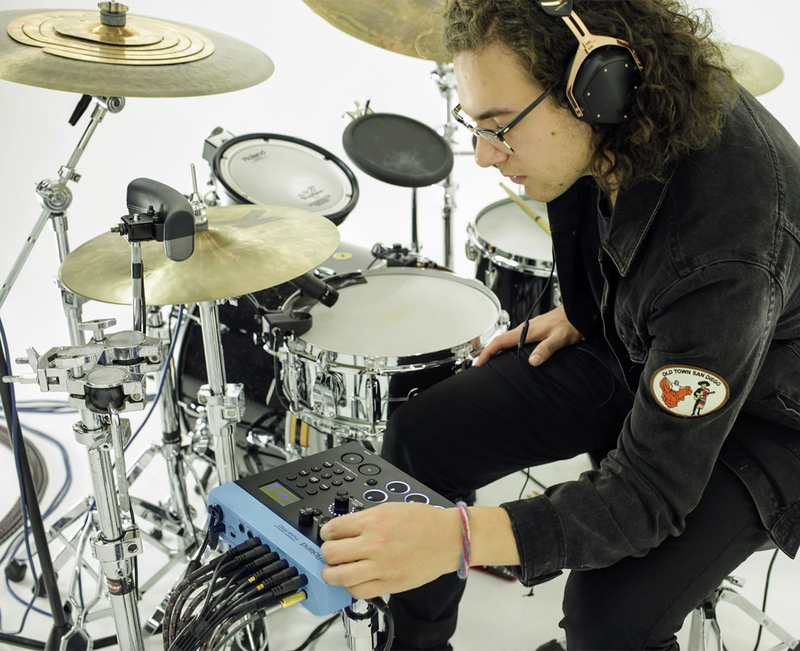 In this video, drummer Bob Hall of Catfish and the Bottlemen uses the TM-6 PRO to trigger samples from his kick and snare drum using RT-30 acoustic drum triggers, while playing back melodic phrases and samples via BT-1 trigger pad, and expressive tom sounds via V-Pads. 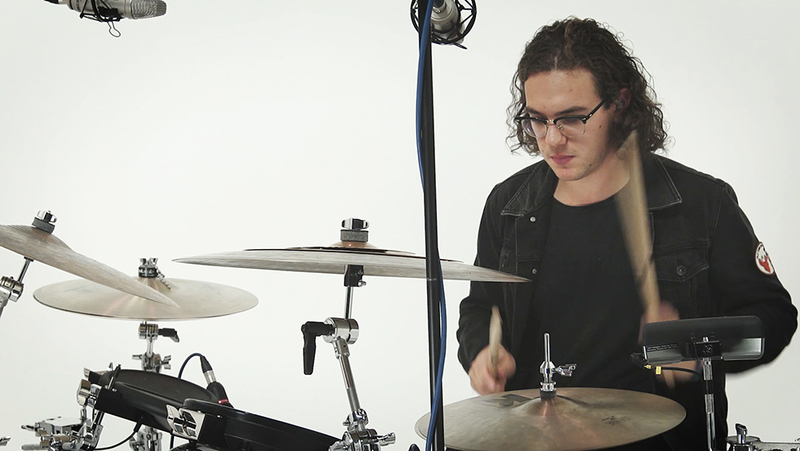 In this video, drummer Bob Hall of Catfish and the Bottlemen explores the TM-6 PRO by triggering samples from his kick and snare drum using RT-30 acoustic drum triggers, to enhance acoustic drum sounds for greater dynamic range, increased clarity and performance. 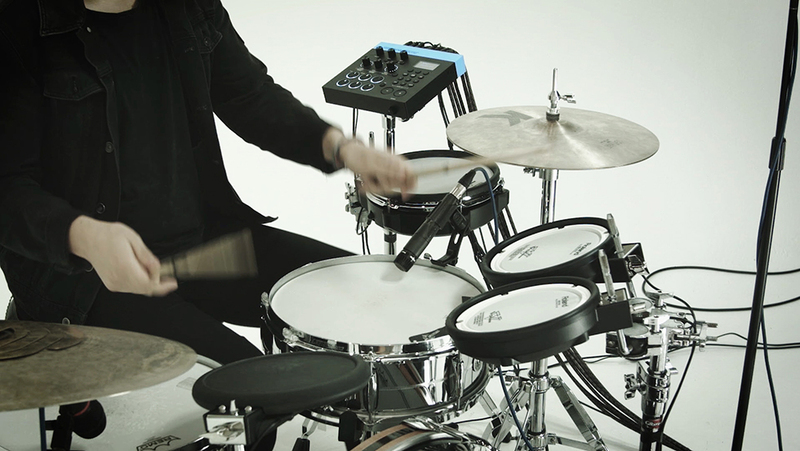 In this video, drummer Bob Hall of band Catfish and the Bottlemen uses the TM-6 PRO with electronic drum pads to add expressive acoustic V-Drums sounds to complement his acoustic drums. 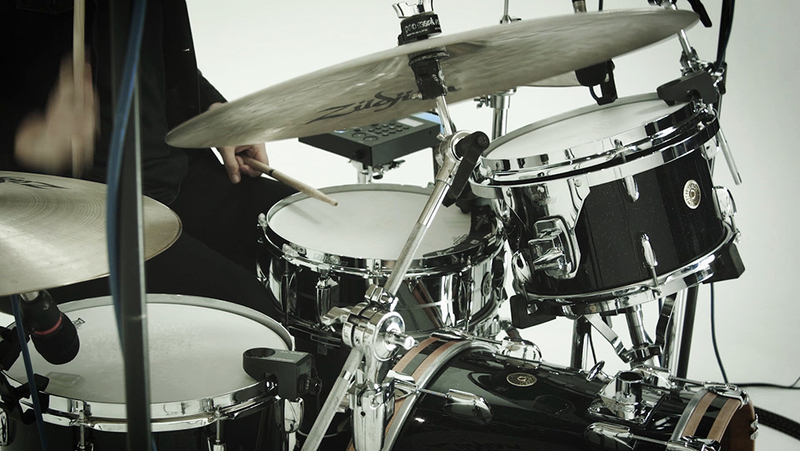 Cowbell, toms sounds and a second snare are also incorporated using V-Pads connected to the TM-6 PRO. 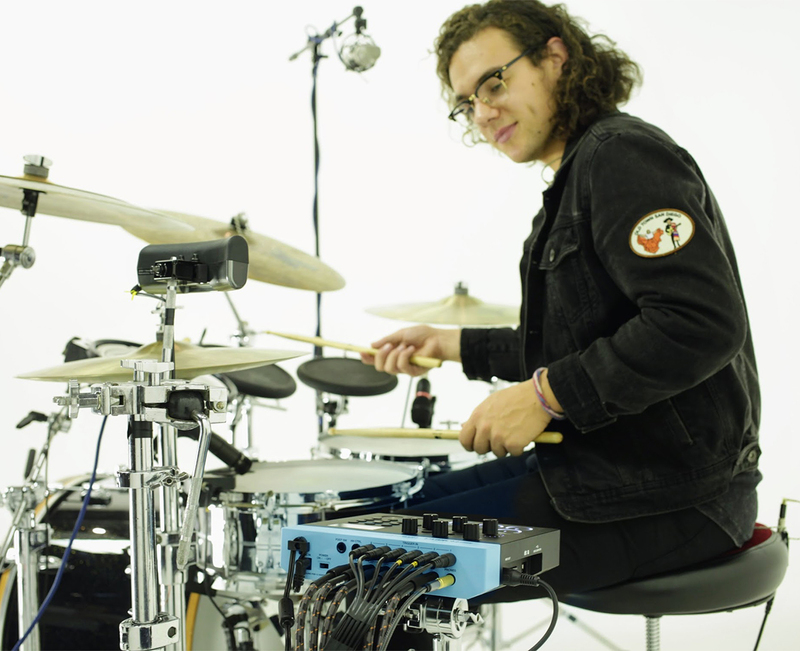 In this video, drummer Bob Hall of band Catfish and the Bottlemen loads his own user WAV samples into the TM-6 PRO and assigns them to the kick drum trigger and BT-1 trigger pad, to perform with his unique sounds. 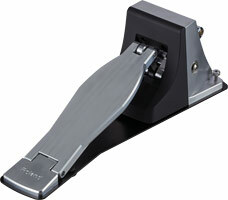 Every drummer feels the pressure when the clock is ticking, the band are waiting and your kit doesn’t sound quite right. The TM-6 PRO lets you walk into any gig and find your sound fast. 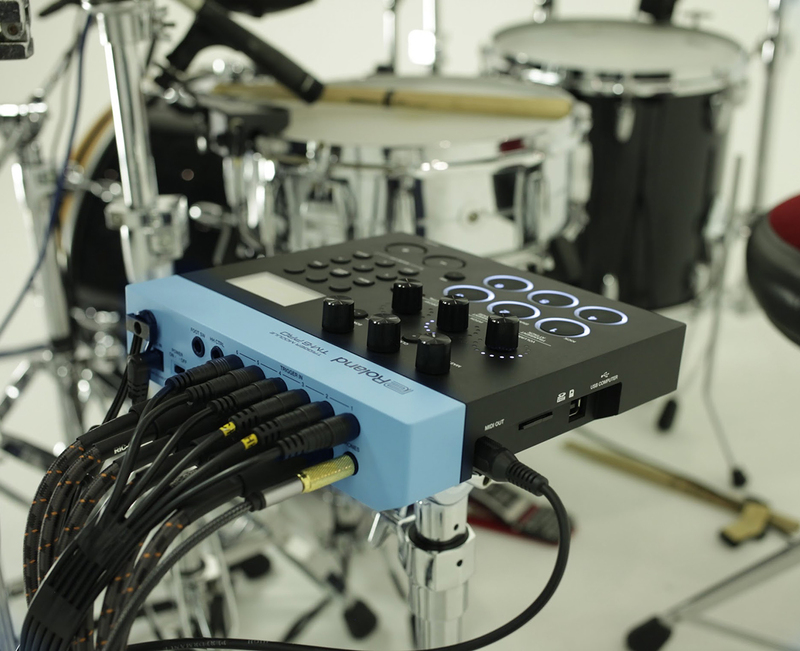 Designed for hybrid drumming, this trigger module is preloaded with 500 new sampled sounds, from electronic and processed tones to acoustic drum sounds and sound elements. 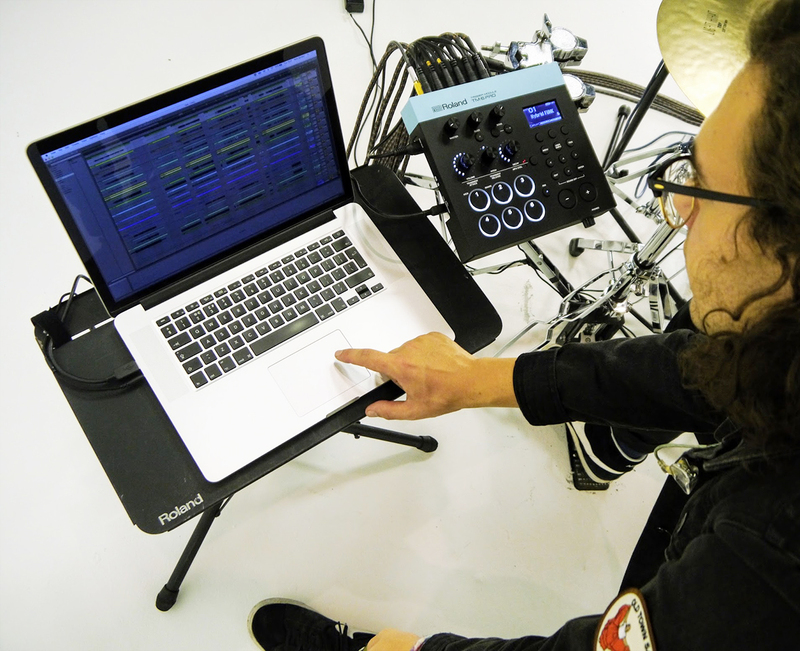 Drummers who dart between jobs can switch between a libraries of sounds in seconds. 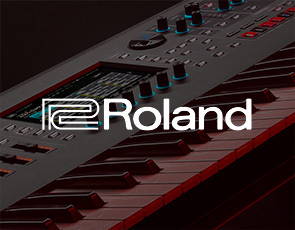 Try electronic sounds including fat-synth kick, vintage drum machines, claps and SFX, alongside processed sounds like compressed snares and kicks that cut through onstage. Get the best of the old-school, with exceptional-quality preloaded acoustic drum sounds, recorded at world-renowned studios like Real World and Rockfield. 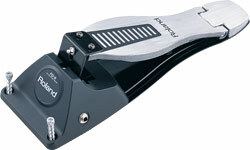 Enhance the attack of your snare and bring low-end power to your kick using sound elements. It’s all at your fingertips. As a working drummer, it’s vital that nothing kills your swing. 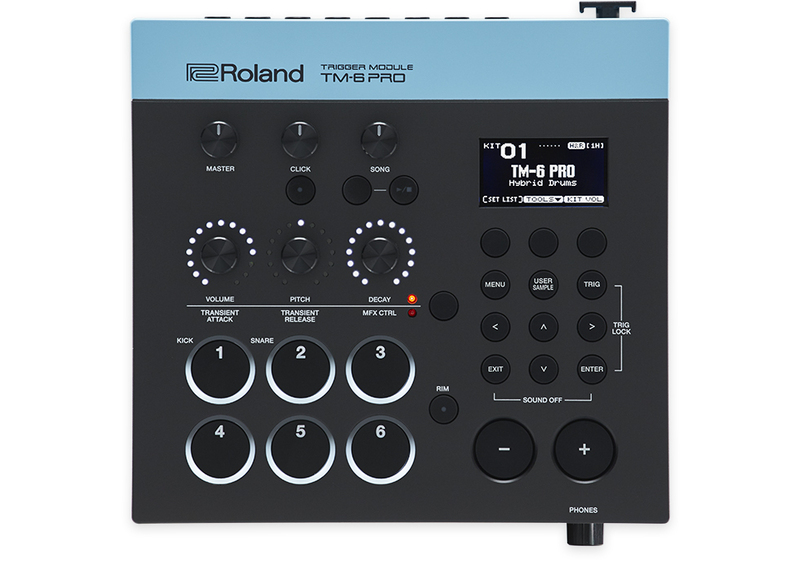 You’ll make yourself even more employable with the TM-6 PRO, which supplements its onboard sound library with a selection of natural and expressive V-Drums sounds. 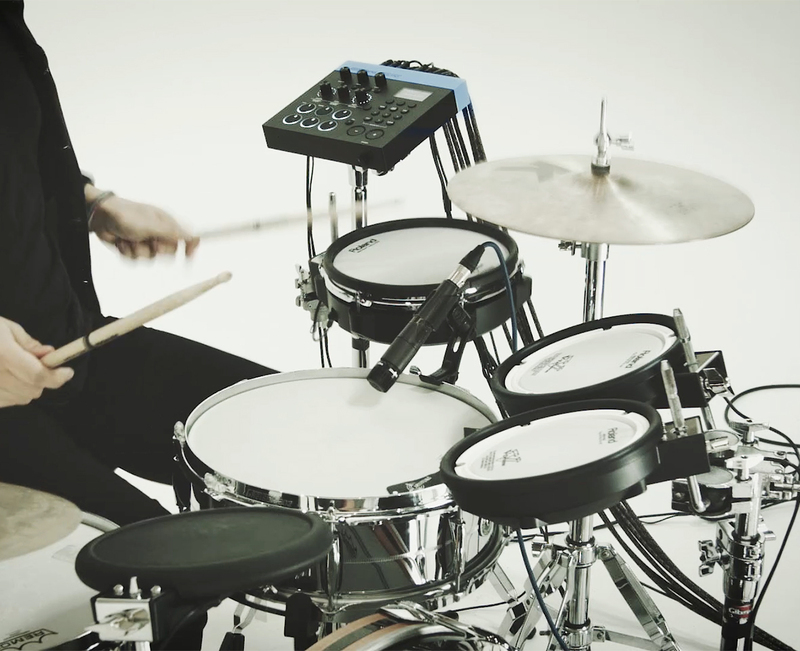 For drummers yet to explore the hybrid concept, this feature is hugely reassuring, letting you use the same playing technique as you would on acoustic drums – even open/closed hi-hat control is possible using the V-Drums sounds and the hi-hat control connector on the module. Whether you’re playing in a covers band or touring with a major artist, pro drummers will often be asked to recreate the signature drum tone from a famous studio recording – and your reputation depends on getting it right. 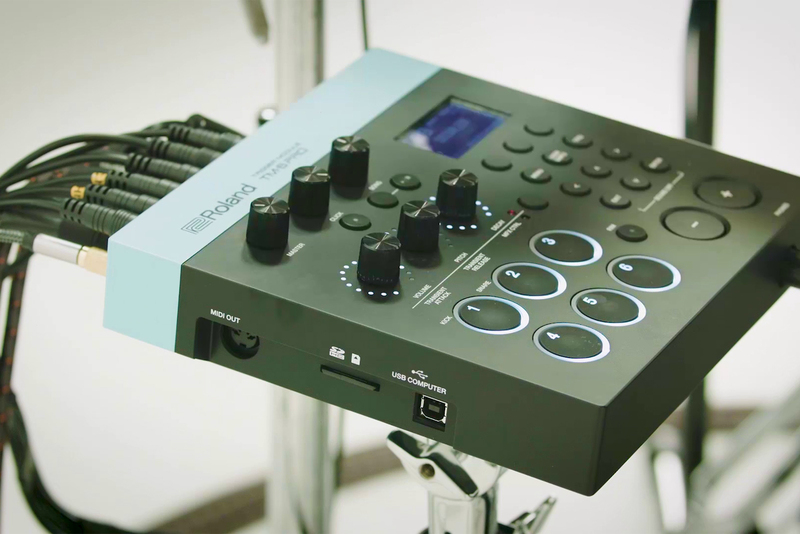 Rely on the TM-6 PRO to nail any tone, thanks to the user sample feature that lets you import the exact sounds from the recorded track via SD card and play them using your acoustic kit. And that’s just the start. When your bandleader asks you for a fresh take, it’s easy to customize those imported audio samples, combining them with the module’s built-in sounds, adding powerful onboard effects or switching and mixing layered samples according to the strength of your stick-hits. 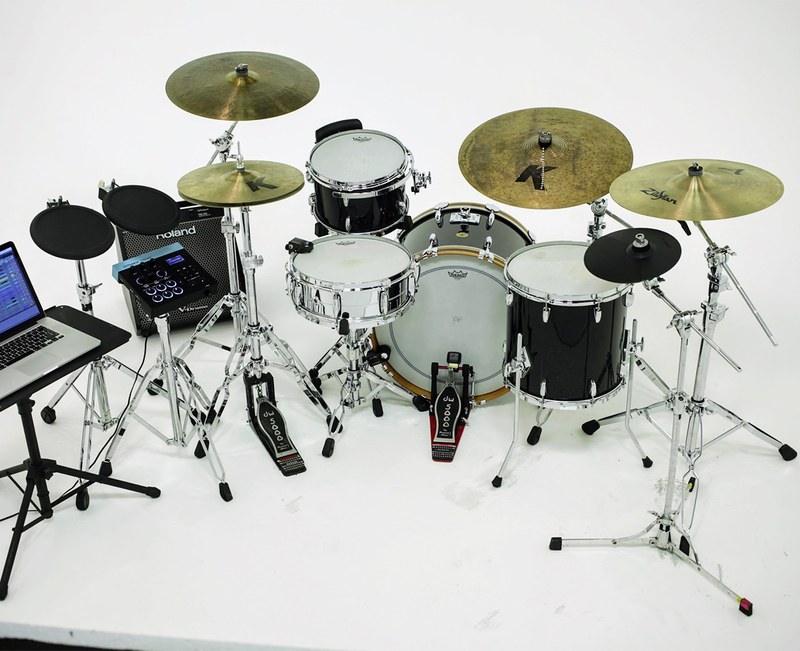 As you evolve as a drummer, it’s vital that your kit can grow, too. 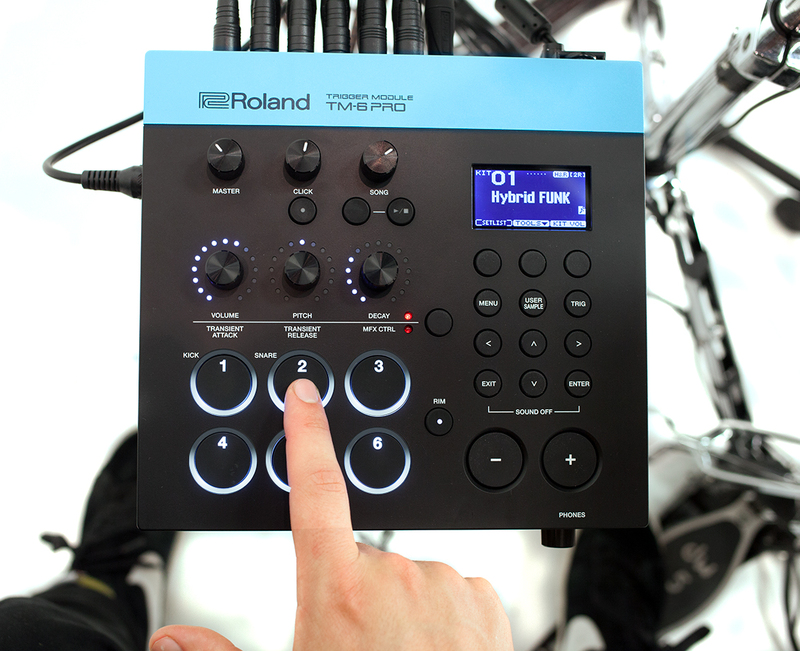 The TM-6 PRO is the jump-off to an ambitious hybrid kit that could help you win more varied commissions. 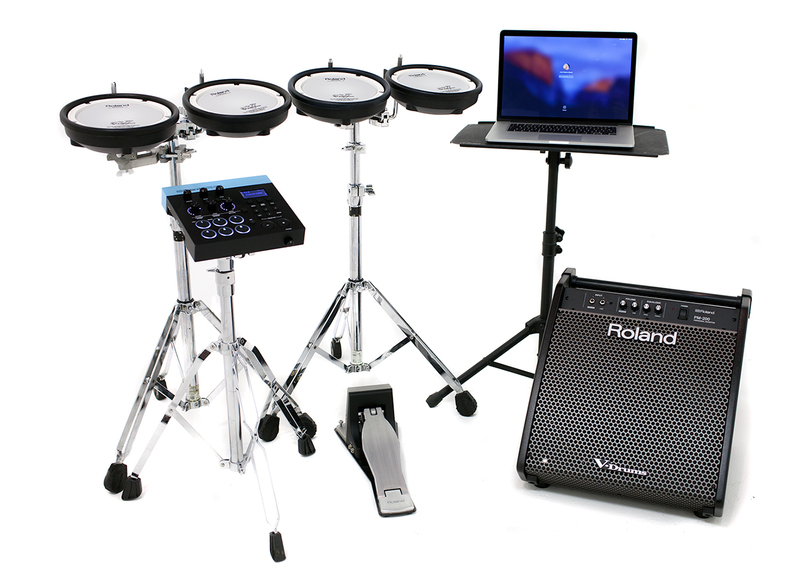 It’s easier than you think to expand your acoustic kit, simply adding a selection of Roland’s pads, triggers and pedals via the module’s six trigger inputs (max 12 pads with optional Y-cable) – then enjoying a kit that offers swing, style and lightning-fast sound response. 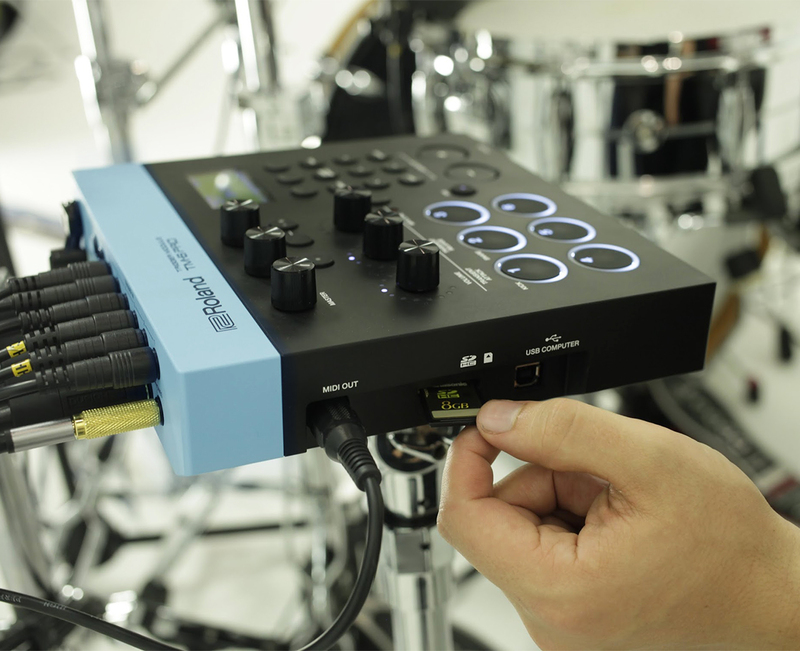 For flexibility, the TM-6 PRO’s four direct outputs work as four mono channels or two stereo channels to process the sound individually (it’s also possible to set six mono channels or three stereo channels outputs when you set the main outputs to direct outputs). You could even assign a song track or click track to specific direct outputs. This is your kit – and you’re in charge. 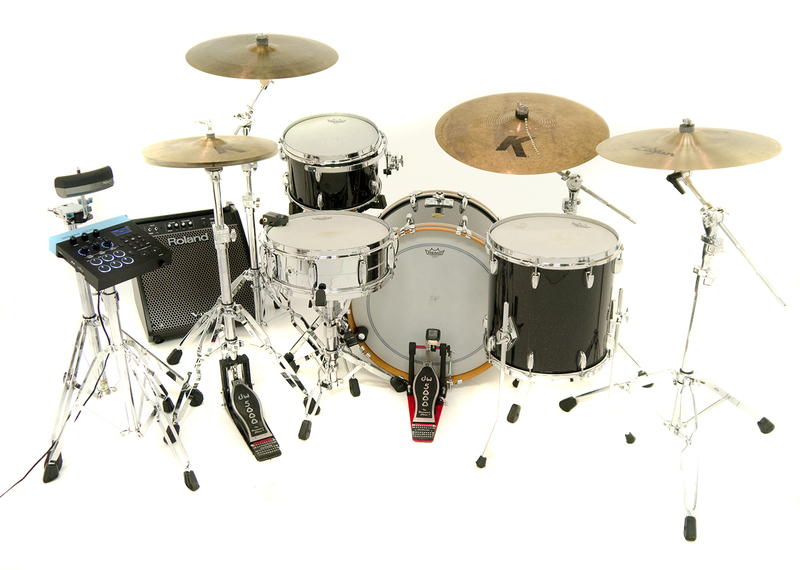 Plans can change fast onstage – and that can spell headaches for a drummer playing a traditional kit. 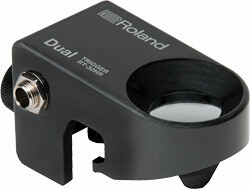 With the TM-6 PRO, you can relax and rely on this trigger module’s easy and intuitive operation. 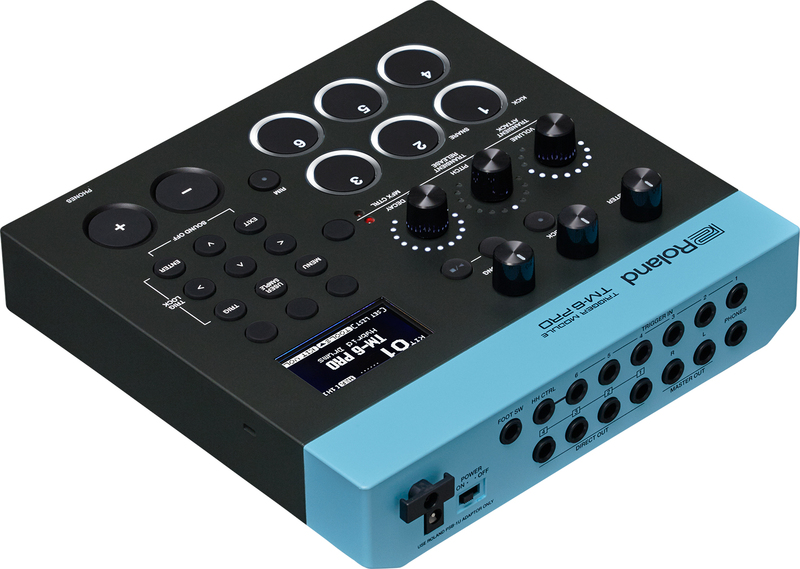 Using the front panel’s three Sound Modify knobs, you have fast and flexible editing options (without getting into deep menu editing), directly controlling common parameters like Volume, Pitch and Decay, alongside the variable +/- 2-octave pitch rate that means it’s easy to tune with acoustic drums. 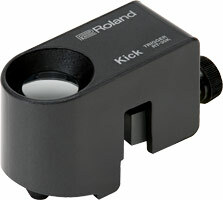 If you change the control knob group, then transient attack/release or MFX can be modified using these three knobs. And when you modify the parameters of the 30 MFX types, the most effective parameters for each type are pre-assigned to a knob for intuitive editing. 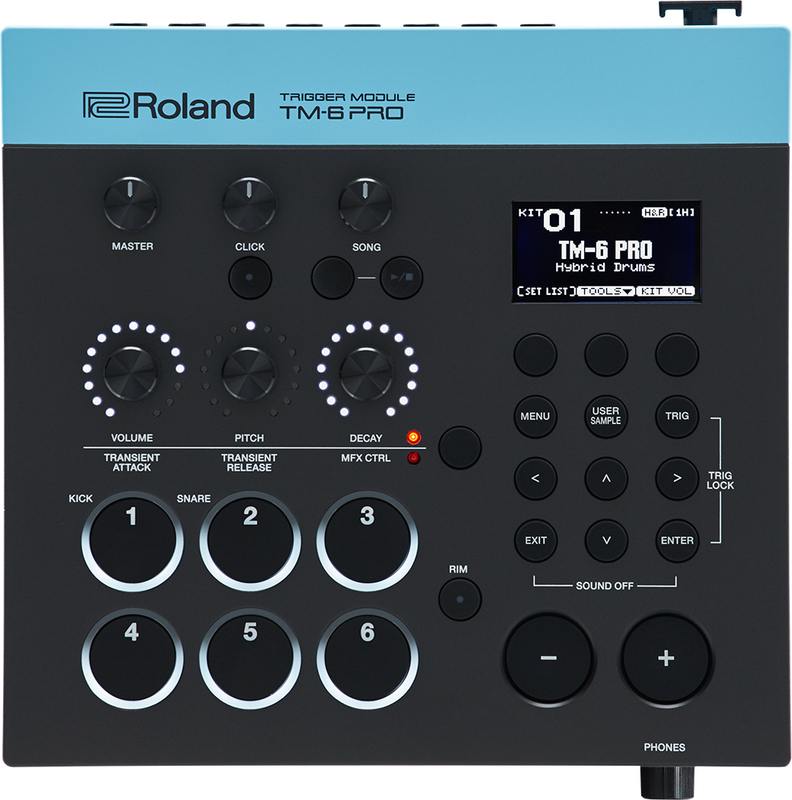 The TM-6 PRO also gives you the edge in the studio, with the newly developed Transient effect that offers flexible control of attack and release. 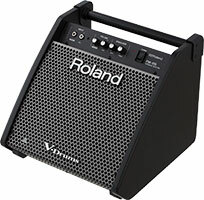 Whatever the musical director demands, you’ll be ready to deliver. 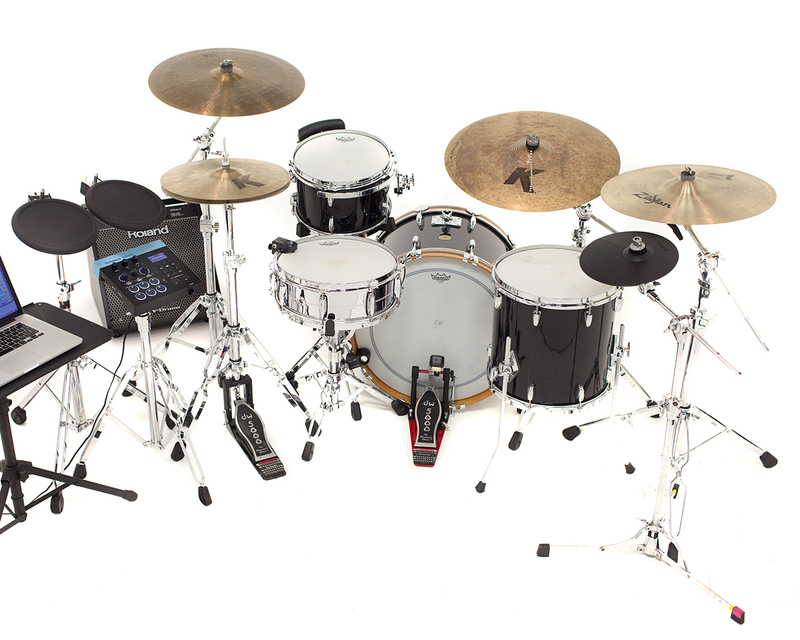 For live drummers, there’s nothing more frustrating than troubleshooting your setup when you should be focused on your performance. In the heat of the gig, the TM-6 PRO gives you all the information you need fast, with LEDs that flash in response to each head/rim of 6- independent triggers, and LED indicators around each sound modify knob that let you know the parameter value at a glance. 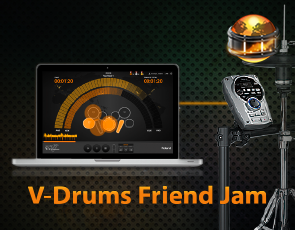 It’s a reassuring feature that means you’ll feel in complete control of your kit – leaving you free to put your heart into the drumming. 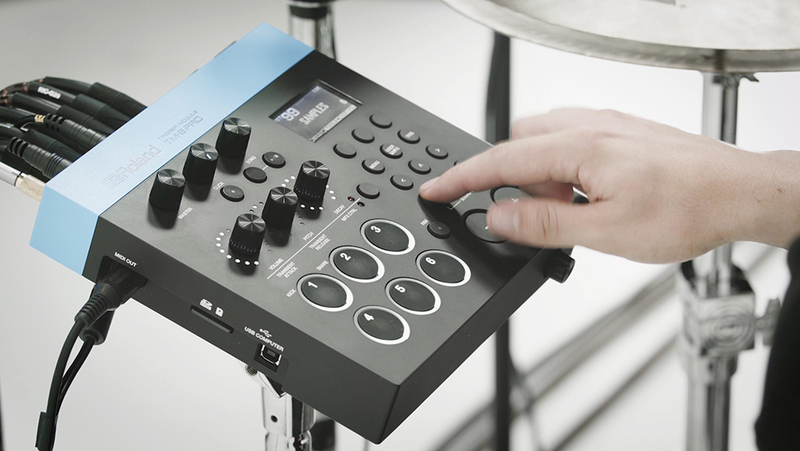 Backing tracks and click tracks are invaluable to drummers in countless situations – and the TM-6 PRO makes it easy to use them for live work and rehearsal. Backing audio tracks stored on SD card can be played direct from the memory – so you could store a whole song for a live show, or jam along with the set list, whether the band is there or not. When exporting backing tracks from your DAW, create an accompanying click track at the same time. Then, place the backing track and the click track WAVE files on an SD card and they'll play simultaneously and in sync routing the click through the headphone output (although you can send the click through any output you want, or send it to other band members). 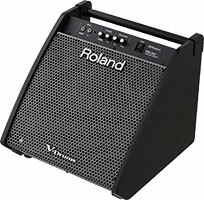 As a modern music-maker, any new addition to your rig needs to play nicely with your computer setup. 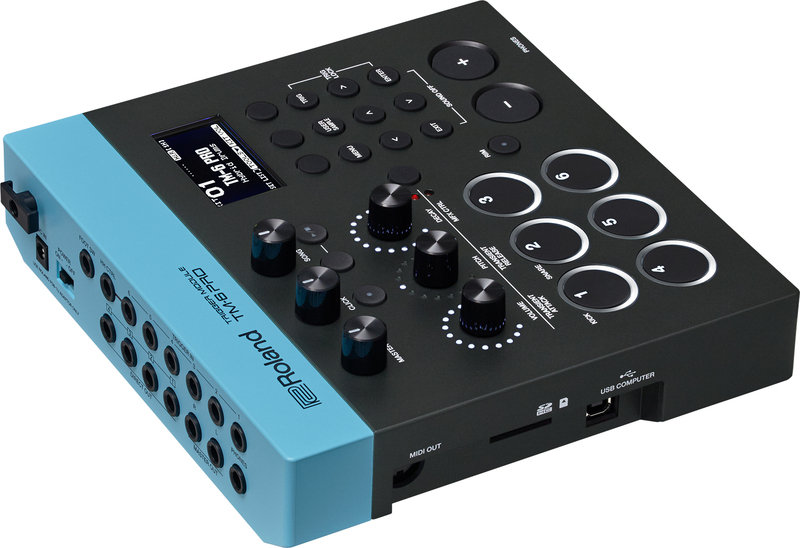 Highly flexible, the TM-6 PRO works as trigger to MIDI convertor with audio interface, so you can play backing and click tracks from your computer via a USB cable. 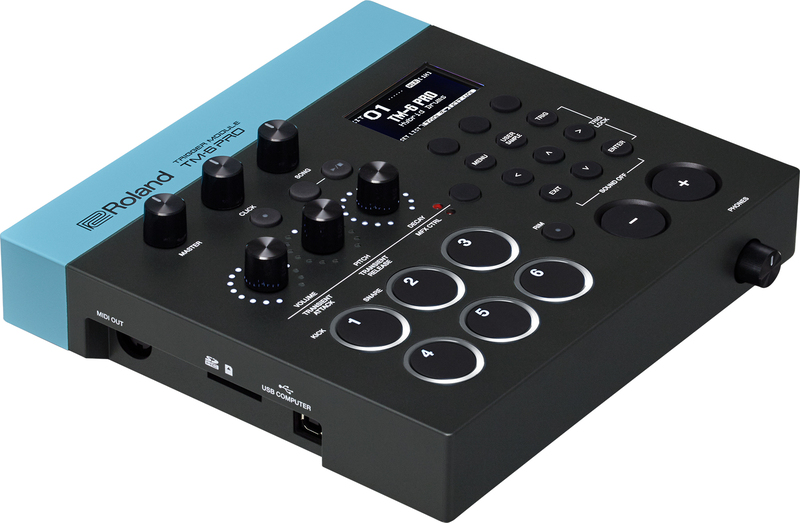 Audio/MIDI interface functions offer 8-in/8-out (max) audio with an impressive sampling rate of 44.1kHz/48kHz/96kHz, plus MIDI in/out capability. 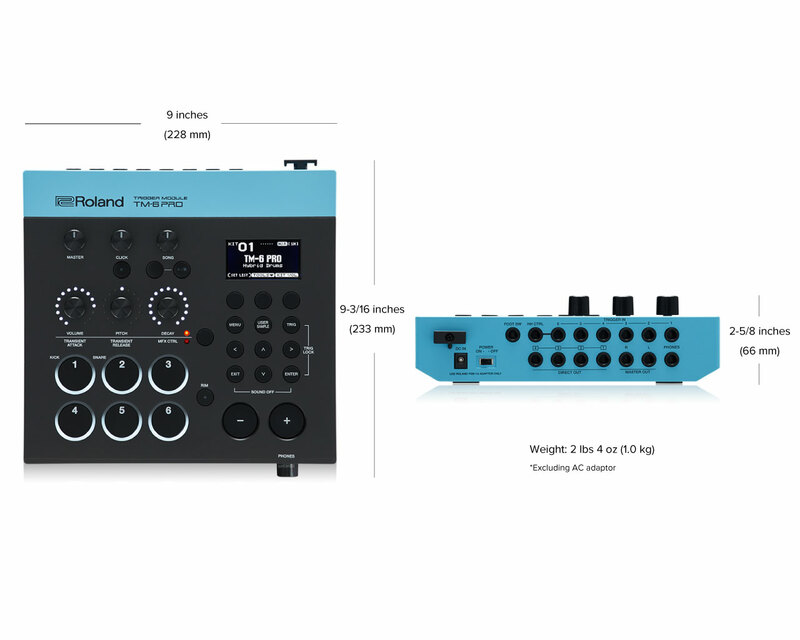 Each audio in/out is assigned to each TM-6 PRO’s Phones L/R, Master Outputs L/R and Direct Outputs 1-4. 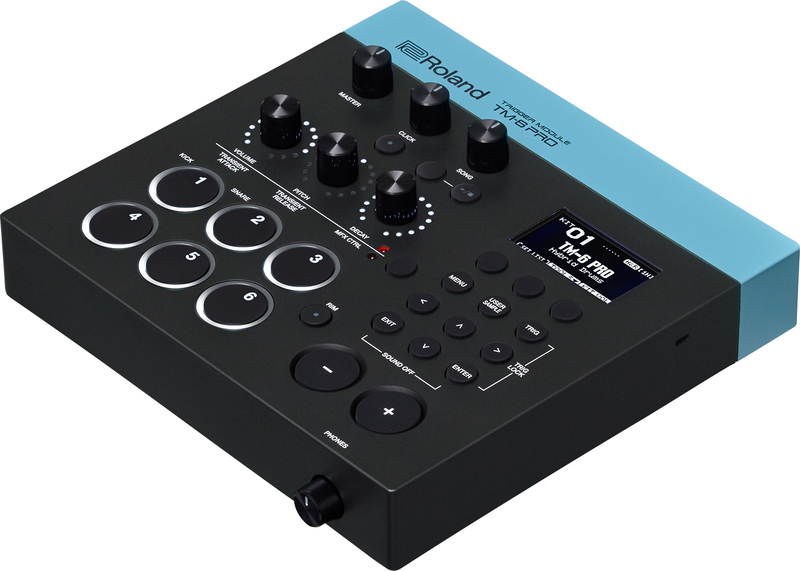 The possibilities are open-ended: you could output the backing track from your computer to the specific direct output, or record the audio from the specific direct output to the DAW via USB audio. *1: Audio files must be saved on an SD card. 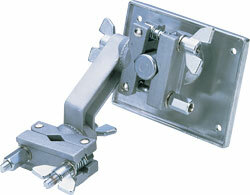 *2: Used when attaching the mounting plate. 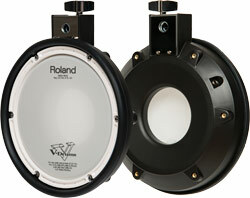 The PDX-6 provides dual triggering from its 6.5-inch mesh head and 8-inch rim. 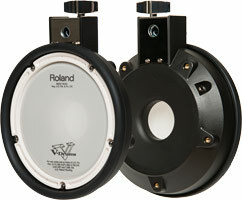 High-Resolution Sound Monitoring, Fine-Tuned for Roland’s V-Drums.